The UK cover doesn't work for me. 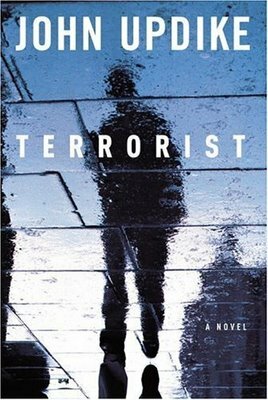 Not having read the book yet, I understand that it is the story of the terrorist and how a normal person can become one. Hence the power of the US cover, showing an indistinct figure, upside down, no less. The UK version looks too much wrath-of-god-ish to me. Might work, if the book were about the community affected by the terrorist. Plus, I never liked flashes on bookcovers. Don't know why. i enjoy seeing the covers featured here. but sometimes I find the observances made of the 'similarities' to another cover or some other images are really.. can't find the right word.. silly? of course there will be potential for similarities in the visual world.. i just find it ridiculous to fault covers that may seem familiar to one persons eyes. I guess I'm also talking about the chick-lit legs issue that was brought up previously. there are way more obvious similiar covers than the ones picked out here. for example: these two. anyway just my own observings. please continue bringing interesting covers to our attention. Ha! Next, I'd like to see a picture of a man pouring a can of beer and missing his pint glass. G: Thanks for your comment; I always try to bring interesting covers to your attention :-). 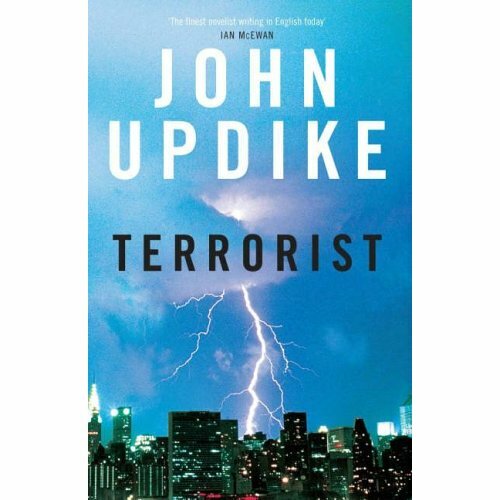 The point of this post wasn't similarity between covers -- they are the same book, after all -- but to think aloud about why the UK cover for Terrorist is *so* different (and inferior) to the US cover. I think in this case g was referring to your comparison between the US cover and the photo of the London suicide bomber.